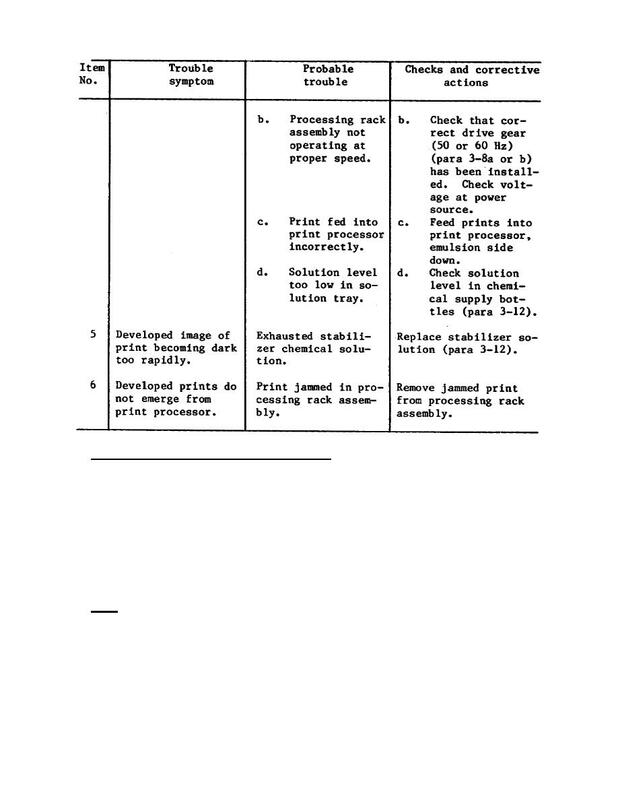 processor with chemical solutions until travel is completed. location, free from vibration and shock. refer to TM 11­6780­225­12, Appendix A.